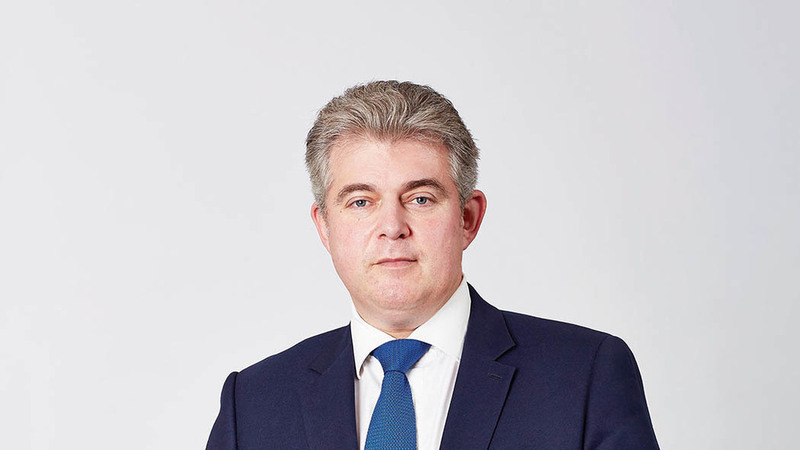 With Brexit exacerbating fears of a labour shortage across all agricultural sectors, Abi Kay spoke to Immigration Minister Brandon Lewis to ask how the Home Office is helping farmers and growers. The NFU and others have been pressing for months for a revamped seasonal agricultural workers scheme to ensure crops do not go unpicked. Are there any plans to introduce one, and if so, when? Will the scheme be open to workers from all over the world? As a Norfolk MP I know just how important farming is to the economy and I have heard first hand from farmers about the issues that concern them. The UK’s food and farming industries are a crucial component of the fabric of rural Britain. While we are still in the EU, employers in agricultural and food processing are free to recruit EU workers and we have set out how those already here will be able to stay following the UK’s exit so there is no risk of a cliff edge. We will always keep the situation under review, and it is one of the reasons we commissioned our expert migration advisers – the Migration Advisory Committee (MAC) - to provide us with detailed evidence of the role EU citizens play in all sectors of the British economy. Why did your predecessor, Robert Goodwill, say concerns about food rotting in the fields were a ‘little bit of a scare story’ in March, when it is quite clear this is a genuine fear? Having visited a G’s group farm last month, I understand there are genuine worries out there about what Brexit will mean for businesses. I have heard them in my meetings with the sector. The Government wants to ensure businesses and industry thrive following the UK’s exit from the EU. We want our future policy to be based on the best possible evidence and that is why the work of the MAC is so important. There was not evidence to justify the introduction of a seasonal workers scheme this year, but of course we keep the position under review. How will you ensure the permanent workers needed in the dairy, meat processing, egg, poultry, pig and veterinary sectors will be able to come to the UK after Brexit? We recognise the importance of these industries and those EU citizens already here will be able to continue living and working in the UK under our settled status scheme. We are working on a future immigration system which works best for the UK, including for British agri businesses, but we also need to look at whether enough is done to attract UK workers into these roles. Does the Home Office view agricultural workers as ‘unskilled’? I am aware that farming, like all businesses, encompasses a wide range of skills. There are thousands of people working in agriculture and we want to ensure there are training and development opportunities available for others looking to begin a fulfilling career in the sector. Foreign ballet dancers, musicians and chefs have been given preferential treatment when it comes to immigration rules because they are deemed to be in short supply. What will it take for agricultural occupations to be added to this list? The decisions about which professions should go on the shortage occupation list are made independently by the MAC and reviewed on a regular basis. We want those involved in the food and farming industries to contribute to their review and I am also going out speaking to farmers and the food industry about their requirements. But we have been tasked by the public to bring net migration down to sustainable levels, and having a controlled immigration system is key to this. Just as in the cultural, arts and catering industries, we want businesses to ensure they are making the most of our talented young people here at home. Defra Ministers continue to refer to the Migration Advisory Committee’s review of labour, which will inform post-Brexit labour policy, but concerns remain about the labour supply in 2018 and 2019. What will the Home Office do to ensure a steady flow of workers over the next two years? The Government is investing in a whole range of industries to improve the skills base here in the UK and we are pushing employers to offer more apprenticeships. Jobcentre Plus has worked with the industry on recruitment schemes which have resulted in UK jobseekers gaining qualifications and employment in agriculture. We have already said those living and working in the UK will be able to apply for settled status to stay. And our economy is strong, we will still be in the EU in 2018, so I am confident the UK will remain attractive to seasonal workers. We will, of course, keep the situation under review. What are you doing to secure the rights of EU citizens already living here? I have spoken to many EU citizens since last year’s referendum who are worried about their future here. I understand their anxiety, but we have set out how we will secure their rights through our settled status scheme. They will have virtually the same rights as British citizens when it comes to education, work, healthcare and pensions. We are now within touching distance of agreement with the EU – ensuring Brits in Europe get the same protections, and we hope to have the scheme up and running by this time next year. And this will help those farming and food companies with many existing staff from Europe. We are clear that we want those who are part of our communities, our businesses and our families to stay. Next Article Win prizes with the Farmers Guardian advent calendar giveaway!